Der Artikel The Smoke Clears: Listen wurde in den Warenkorb gelegt. Those who know the respected Irish producer John Daly for his bubbly, melodically nuanced house and techno tracks may get thrown off balance by his latest work under the Smoke Clears handle. 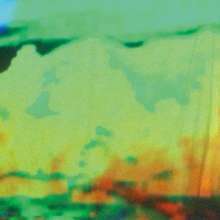 While his 2011 release for Further, Sea Level, hinted at his fondness for Manuel Göttsching/Klaus Schulze-like kosmische ambience, on Listen Daly veers off into more introverted and arcane abstraction terrain. The title track kicks off the album on a decidedly downtempo, contemplative note while maintaining Daly's knack for understatedly beautiful melodies. It sounds like the best song Morr Music never released. »Plumb« exudes a paradoxically chilled and urgent aura, with woodblocks seemingly made out of ice and heavily reverbed claps providing the hypnotic rhythm. The glistening IDM of »Star Shine« could be an outtake from Aphex Twin's Selected Ambient Works 1985-1992 (it's that gorgeous). The beautifully hoarfrosty »Trace« evokes Seefeel’s forays into fusing shoegaze atmospheres with abstract electronic beat matrices. With Listen, the Smoke Clears decisively steps off the dance floor and enters one of the chilliest chillout rooms a ’90s clubber ever chilled in-but the music’s still abristle with all sorts of fascinating movement and textures. Despite Listen’s banquet of ultra-cool tones, your neurons will work up a nice sweat.